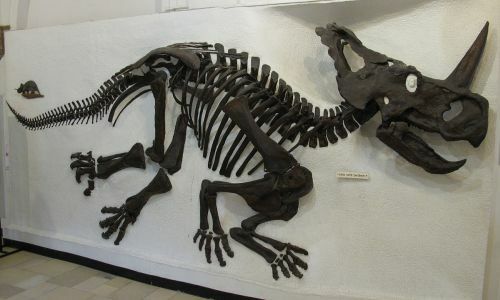 The museums features several sceletons of dinosaurs, e.g. The museums features several sceletons of dinosaurs, e.g. ''Archaeopteryx'', ''Triceratops'' or ''Saber-toothed Cat'', and other special exhibitions. Another attraction is the beautiful architecure of the museum itself.